If we want to teach our kids technology, it has to be like this . . . .
Few elementary school teachers are engineers. Few engineers are elementary school teachers. And that’s where instructional technology breaks down. 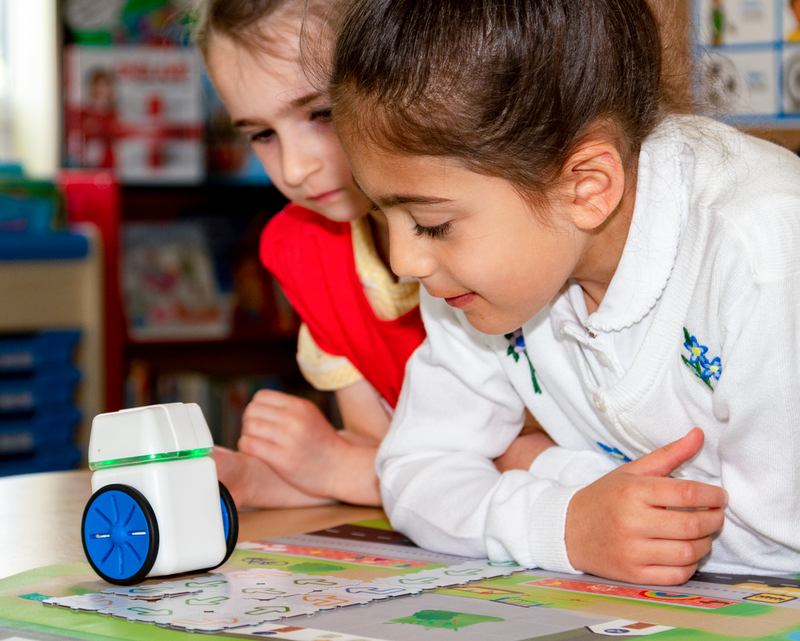 There’s no end to the tech that teachers can integrate in their classrooms, from smart boards to tablets to one-to-one device initiatives to robots and beyond. As a result, some classrooms are flipping, letting students watch video lectures at home and do the actual exercises in the classroom where teachers and classmates can help. Textbooks come alive on tablets through video and interactive graphics. Students familiarize themselves with applications and devices they’ll use throughout their education and in the workplace. We’re not actually teaching technology. As much as our students are exposed to technology from the youngest ages, they’re mostly being trained as consumers, not as creators. Without literacy in how the technology they use actually works, they won’t have the skills to build and code our future. That’s where educational technology fails. Here’s how to fix it. The typical engineer isn’t focused on – or even aware of – the different learning strategies teachers use. Instructional technology is built on engineering principles, not pedagogy. Teachers, on the other hand, often don’t have the engineering knowledge to teach the concepts behind what makes technology work. The typical classroom might have tablets or computers and maybe robots or 3-D printers to help with learning. Each has its limitations. Students use tablets and computers as consumers. Whether they’re watching videos or drawing pictures or taking virtual field trips or even playing educational games, they’re passive participants. Sure, all those activities have educational value, but they also add to students’ screen time. The average eight- to 12-year-old spends six hours in front of a screen every day. For 13- to 18-year-olds, it’s nine hours. For all but a few, that time spent using technology gives them no insight into how those devices and programs work. Robots and 3-D printers break the mold a bit, offering hands-on exercises. But most of them impose a level of abstraction by requiring users to enter instructions on a tablet or computer. The robot performs the directions and the 3-D printer produces the widget designed on the screen, but the actual coding (and the concepts needed to code) remain behind the curtain. If we really want our kids to gain a fluency with technology, here’s what we need. There are three major ways to teach students the inner workings of technology from a young age, and one or more is often missing from digital learning tools. 1. Learn through guidance, encouragement, and collaboration. 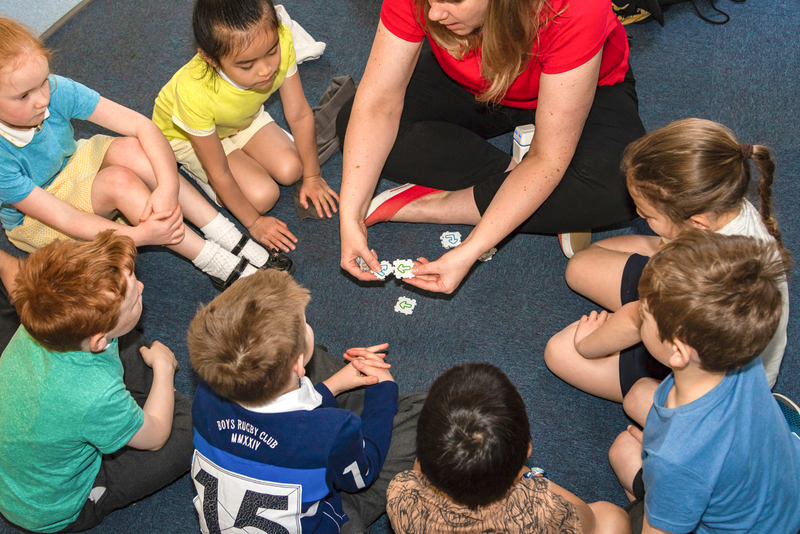 Students need a bridge between what they know and what they don’t know – what psychologist Lev Vygotsky called the zone of proximal development. Students cross that zone with guidance from teachers, parents, and classmates, but technology too can offer feedback guiding children to the right answer or rewarding them for success. Technology can use students’ existing knowledge to teach computing concepts such as loops, functions, routines, and subroutines. But the technology needs to provide feedback – some sort of guidance or encouragement. 2. Get active. The idea that students construct new knowledge from experiences and reflect on those experiences has long driven teaching plans. Students need to be active in their use of technology. Learning apps and other tools have their place, but they ultimately train students to be passive users. Technology should allow them to question and experiment, create problems and solve them, and take on a much more active role. 3. Work with something tangible. Seymour Papert, one of the creators of LEGO® MINDSTORMS®, has long advocated for the creation of physical objects in the real world as a path to learning. There’s no substitute for building a device, taking it apart, and rebuilding it. With a teacher as a guide and mentor, technology should provide these kinds of physical projects for students to complete. It teaches not only the inner workings of technology but how to troubleshoot and overcome issues as they’re encountered. With these three things in mind, we can make a more concerted effort to teach our students the technology skills and knowledge they need to excel in school and the future workplace . Earlier this spring, Pitsco introduced KUBO Robotics to the United States. KUBO highlights making learning through technology tangible. 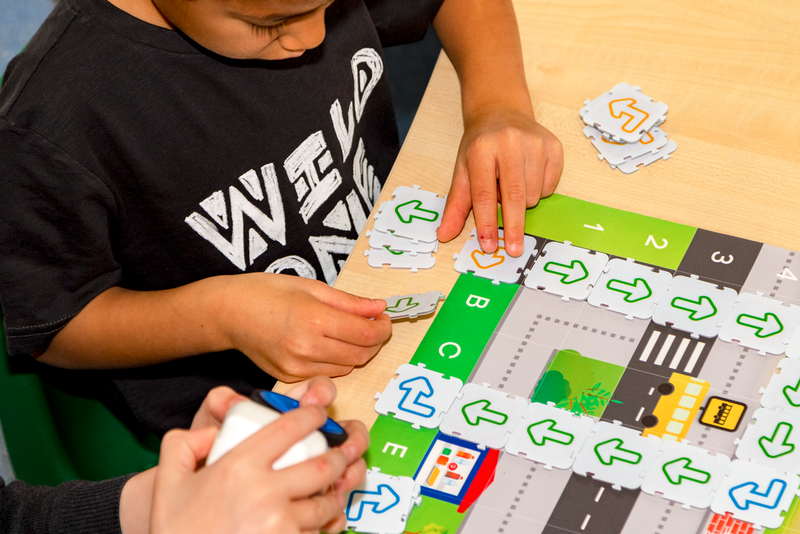 With its groundbreaking TagTile® system, KUBO introduces the concepts of coding in an easy, hands-on, screen-free way, so that children can become creators, innovators, and designers of our future technologies. With KUBO, students piece together icon-based tiles to create instructions, or code, for their robot to execute. Creating this code is as simple as putting together a puzzle, and the graphical, tactile nature makes KUBO ideal for the emergent reader. The solution requires no additional technology and is so simple you can be up and running in fewer than five minutes and well on your way to introducing the basics of computational thinking. It is currently being piloted in nine schools across the country. This blog was written by KUBO Robotics and used with permission. Pitsco Education is the exclusive distributor for KUBO in the US.